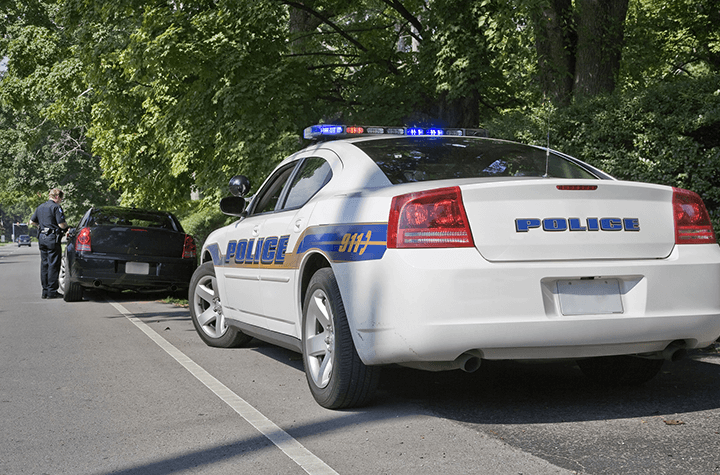 What happens if I get pulled over and can't produce proof of insurance? You’re driving down the highway, coming home from the game on Saturday night. You are on cloud nine after the big win, and nothing could ruin your night. Wait. Are those sirens? Yikes. You were so revved up your foot was absolutely punishing the gas pedal! The police officer approaches your car and politely demands to see your licence and proof of insurance. You open the glove compartment to retrieve your insurance slip, but oh no! You forgot to put it back after calling to renew your policy. It turns out your night could be ruined after all. In Canada, you are required by law to have proof of insurance with you in your vehicle when driving. The consequences for violating this law can be quite severe. Failing to provide proof of insurance will result in a fine. If you are a repeat offender, you could be looking at jail time as well. The exact penalty varies by province. In Ontario, the fine for driving without insurance is $5,000, plus a surcharge (tax) of approximately 20%. This means that if you are caught driving without insurance, the total fine is $6,250. In Alberta the amount is slightly different, but is in the same neighbourhood. Operating a motor vehicle without insurance, which implies you were driving without insurance coverage. Failure to surrender your insurance card, which implies you failed to produce proof of insurance to police. Now, if you have simply forgotten your insurance slip, you will need to attend court to show proof of insurance, and the charge will be cancelled. And some good news: Ontario is introducing electronic proof of insurance. The provincial government recently announced that drivers will be allowed to provide proof of insurance using their mobile phone as early as the end of 2017. This will eliminate the need to have your paper copy of insurance in your vehicle, so forgetting won’t be much of an issue. On the other hand, actually not having the insurance will remain a big deal. Simply put, don’t get on the road until your car is fully insured. Paying insurance is no fun, but it’s way better than incurring a massive fine (or jail time) by driving without insurance.